Will Satch | Booking Agent | Talent Roster | MN2S . 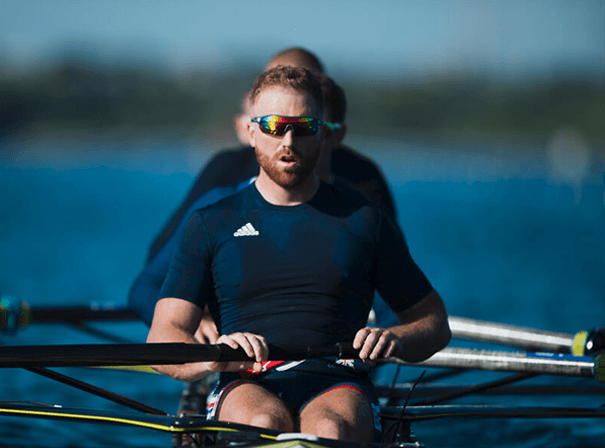 Leading British rower Will Satch is one of the strongest athletes in his field. In his first five seasons rowing for Great Britain’s senior team, he won no fewer than five medals, including an Olympic gold, one bronze, and three consecutive World Championship titles. His memorable gold medal win saw him stroke the men’s eight to first place at the Rio Games in 2016 having, four years earlier, picked up a bronze in the men’s pair alongside George Nash. Still a key part of the squad and heading to the Tokyo Games in 2020, Satch and his crew won two golds and a silver in the World Cup series of regattas. Satch also rows for the Leander Club in Henley-on-Thames, and in 2018 was appointed vice-captain of the club. A year previous in 2017, he was honoured with an MBE in the New Years Honours list in recognition of his services to rowing. Amazingly, Satch has previously revealed that he has had heart surgery to fix numerous episodes of atrial fibrillation which had affected his performances in 2017 and 2018. It is a condition he has dealt with since his youth, but has never stopped him from competing at his best as an athlete. As such, Will Satch is a real icon of the sport and an inspirational figure who can motivate anyone with his continued excellence and dedication to his sport.